Sowelstace Financial Review, Dangerous Sowelstace Scam Exposed! Binary Scam Alerts » Scam Reviews,Sowelstace Financial » Sowelstace Financial Review, Dangerous Sowelstace Scam Exposed! The Sowelstace Financial software by Jimmy Reese is a Blacklisted Financial SCAM. In our fair and impartial review we will produce all the required evidence needed to validate our initial claims. You are a smart person, that’s why you decided to do some research and look for a legit review about Sowelstace Financial thinking it may be a genuine app and trading robot. We hate to burst your bubble, but the amount of complaints we received about SPAM emails and annoying popups creeping up on your monitor while browsing the internet is disturbingly high. This trend clearly indicates to us that a rogue network of affiliate marketers is promoting this fake app and auto-trader, so we have investigated this scam and what we uncovered was even more troubling than initially suspected. First thing to remember is never to click on any links since they are most likely infected with Spyware or Malware. Then it’s crucial you unsubscribe from getting future communications. You should be aware that Sowelstace Financial is totally rigged and was designed by crafty affiliate marketers with pure malice and the deliberate intention of stealing your money in a very sneaky way. Keep reading our honest review and investigation and see how we expose these thieves and gain a better understanding of how this bogus, manipulative, and misleading app is used to defraud and victimize innocent day-traders. Below you will see an image of Reese (Alias) claiming his software makes thousands of “no-risk investments”. That is an outright lie and total fabrication designed to entice you into registering with and funding a trading account under false pretenses. 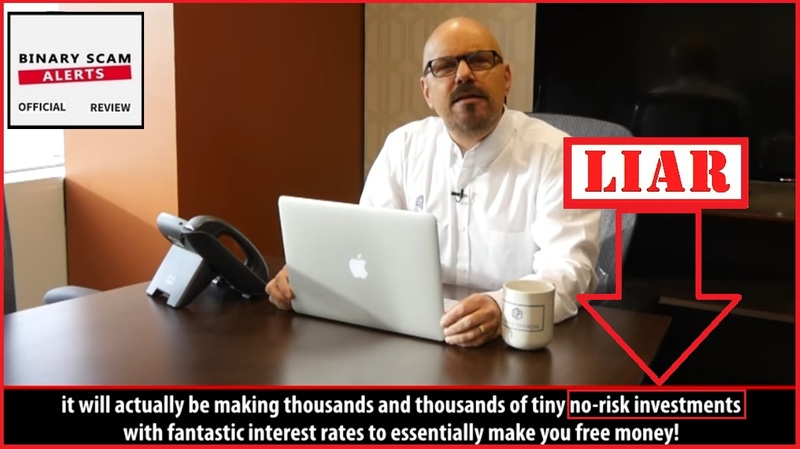 Everyone knows that trading involves risk to your capital, and that you may very well lose your money in these type of get-rich-quick schemes. Here’s more proof. Below you will see a collection of fake testimonials with images which are either stolen or scraped off the internet without permission.Here you can clearly see that “Joseph Jacobs” is a fictional character and his image was taken from Shutterstock, a well-known image bank. To top it all off we clearly see the use of fake stickers and certifications. In one logo they claim it is accredited by the Better Business Bureau which is an outright lie, and in fact their website is not McAfee or Norton Antivirus Secure. Additionally, none of those stickers are clickable but someone thought it would be very advantageous to place them exactly below the registration section of the software. This is done to alleviate your concerns and reduce your levels of resistance. Obviously these cheap tricks won’t work here and we don’t appreciate this deceptive form of false advertising techniques. The sales video starts as Jimmy Reese (dressed up as Santa Claus) introduces himself as the founder and creator of Sowelstace Financial, “the latest trading software on the market that’s breaking daily profits on a daily basis”. He claims that his software has made more money than any of the other major firms during the past year. He says that this system has actually taken every-day regular working people with who earn low salaries, and effectively turned them into millionaires and that all of these new millionaires have no trading experience whatsoever. He claims the software for the beta testers he recruited is free and given for a limited time, but we will discuss this issue a bit later. Then we start with Karen Laue, who is another paid actress just like Ryan Moore the Chief Technical Officer. He claims that Sowelstace Financial is “multi-level binary options trading software”. They say that they created a way for you to “make money even when you are not trading”. He claims the trades are “100% risk free” since there are “checks and balances in the form of code” in place that guarantee a return on investment. Moore is literally saying “you can not lose money” with this software. Then he goes on to show his trading account and says that he expects customers to make in excess of $25,000 a month. He then states that the higher the balance is, the more interest and trading opportunities they will have. In reality, this presentation is riddled with holes and full of inconsistencies, lies, and half-truths. There is no such thing as risk-free trading, and no one can guarantee you winning trades. 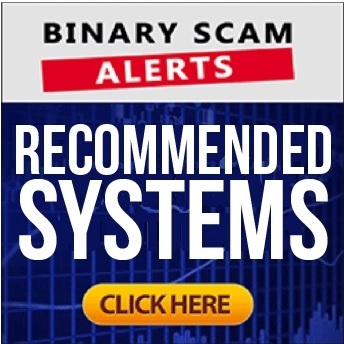 This scam utilizes all the classic tactics that we have come to recognize as red flags. Those are fake testimonials, hyped up or exaggerated claims, inflated bank accounts, and outrageous lies and fabrications. Absolutely not. It’s gonna cost you at least $250 and that money will be charged to your credit card by one of their recommended brokers which may or may not be regulated. The ones topping the charts these days are Tesler App and Quantum Code. We know there are a lot of so called “honest” review sites that are taking bribes for publishing favorable reviews. Again, do your due diligence properly and make sure to choose the most reputable apps. If you are not quite sure about what type of system is right for you, join the club! We know the feeling, so we did all the research for you and compiled a short list of all the best and most consistent money-making machines available online. These are all proudly showcased in our recommended section. The Sowelstace Financial software by Jimmy Reese is a confirmed investment scam and we blacklisted it in our fair and impartial review. The facts are there and the information has been presented to you in a clear and factual manner. If you have been solicited by affiliate marketers in any way to join this fraudulent app then we implore you to refrain from doing so. If you have inadvertently joined, please DO NOT fund a trading account and refuse to sign any documents as these will be used against you in case there is a dispute of any kind. If you have already deposited funds, we regret to inform you that retrieving stolen funds from slimy offshore brokers is getting to be a nearly impossible task, so get ready to kiss your money goodbye because chances are its already spent. In light of the overwhelming evidence our staff of researchers and investigators have produced, we have no choice but to blacklist Sowelstace Financial and advise our members and subscribers to seek alternative investment opportunities. Feel free to contact us via our our Facebook Group and YouTube Channel.